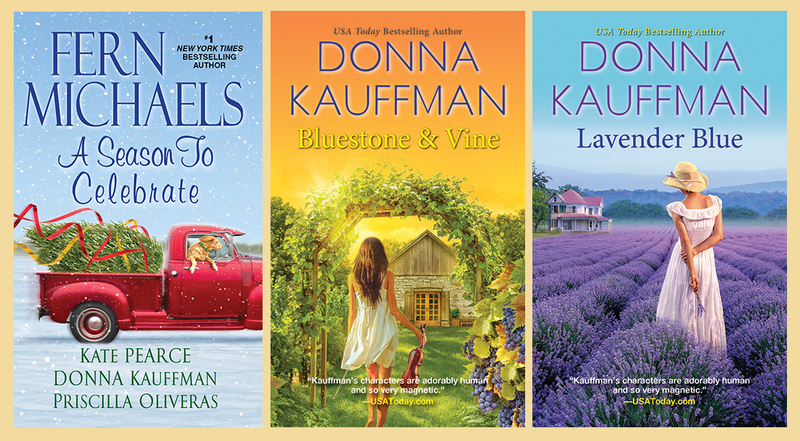 Donna Kauffman is passionate, driven and more than just a little bit romantic. She's also a USA Today and Wall Street Journal bestselling author of more than 70 novels, translated and sold in more than 26 countries around the world. She has won multiple RT Book Awards, Readers Choice and PRISM awards and has been a RITA Award finalist. Born into the maelstrom of Washington, D.C., politics, she now lives in Virginia's Blue Ridge Mountains, where she is a volunteer transporter for the Wildlife Center of Virginia and Rockfish Sanctuary. She's also an avid DoItYourselfer, baker and gardener. She's been involved in paper crafting, both as a maker and a teacher, for more than 20 years.